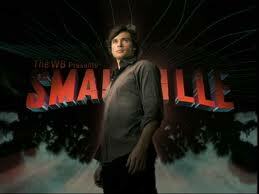 Where are all my Smallville fans? I started watching Smallville from the first season when Lana Lang was still his love interest and Lex was bald and bad. But after a few years I just stopped. I'm not really sure of the reason, maybe it was because cast members where leaving the show or maybe the storyline just wasn't holding my attention anymore. I'm not sure. When I heard that this was the final season, I just had to start watching again. I didn't want to miss when he finally dons his cape and takes off, soaring through the air like the true superhero he is! However, this final season has been a little disappointing. Clark has been so filled with doubt in his abilities this season that he still doesn't realize he can fly! 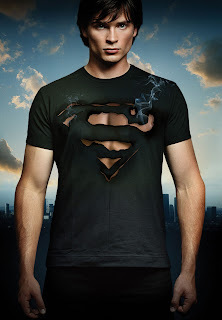 He loses his powers in almost every episode and his human girlfriend - fiance actually - Lois Lane, has to save him all the time! He barely uses his powers at all. Where is the Man of Steel? I feel like the plot is finally start to pick up and things are will start to happen - like the return of Lex, Lionel and Chloe - but how many episodes are left? Will Clark realize his full potential and fly before the show leaves us forever?? Will we get to see him and Lois get married? What about Chloe - is she here to stay? And Lex! 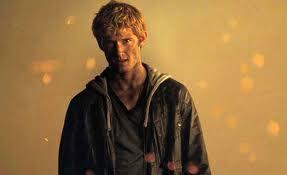 I'd really like to see Alexander grow to be the man he was before he disappeared. I want closure! Complete and utter closure! Tonight's episode seems very promising as Clark finally puts on the thick black-framed glasses that will become his infamous disguise! However, I will not be watching it right away because I will be at the movies watching I Am Number Four!! Based on the previews, how many of you are worried that the movie will not relate to the book? One preview in particular worries me - the one where John (Alex Pettyfer) seems to be asking what number he is. Now, I've read the book and that never happens. Still, I will go in with an open mind and hope for the best. I will definitely be reviewing this movie! How many of you will be at the theaters this weekend? I'm REALLY looking forward to I am Number Four! I loved the book and hopefully the film will do it justice. Unfortunately it doesn't come out in Australia until the 24th *sigh* so i'm counting down the days.